After developing a brilliant idea, entrepreneurs must find the right product manufacturers. Entrepreneurs often lose momentum when the time comes to find a manufacturer. As an entrepreneur starting up your own business, you may be at this stage. If you are having trouble finding a way to source your product, you have come to the right place. Continue reading to discover how to find product manufacturers for your big ideas. Firstly, determine which type of manufacturer you need. Decide between the two types of sourcing: domestic and overseas. Domestic sourcing provides higher quality products. Since there is not a language barrier, communicating is easier. Your products are also more likely to ship quickly with domestic manufacturers. However, with these advantages comes a major downfall. Typically, domestic manufacturing comes at a higher price than overseas manufacturing. If you choose the overseas sourcing option, you will benefit in more ways than just cost. You will also have more manufacturers to choose from. The most prominent downfall with overseas sourcing is the quality level. It is usually much lower than domestic manufacturers’ level. As mentioned above, you will also be forced to wait longer for your shipments. Consider the pros and cons of both types as your first step to finding product manufacturers. Another very crucial step to take when finding product manufacturers is to research your product market. If you are at this stage of your startup, you already have a product idea. This is not enough to bring to a manufacturer’s attention. You should have a clear drawing, diagram, or prototype handy. For example, if you had a sports marketing idea, you would first need to find a way to show it off. In order to develop a successful example of your product, you must research the market. You will not want to manufacture a product that is not in high demand. Furthermore, you also do not want to build a lesser version of a competing company’s product. Examine similar products and their success rates. Study your target audience. By doing so, you will be able to ensure a manufacturer will assist you in turning your idea into a successful product. Then, you are ready to begin your search for product manufacturers. Once you have completed market research, turn to the in-person approach for finding product manufacturers. 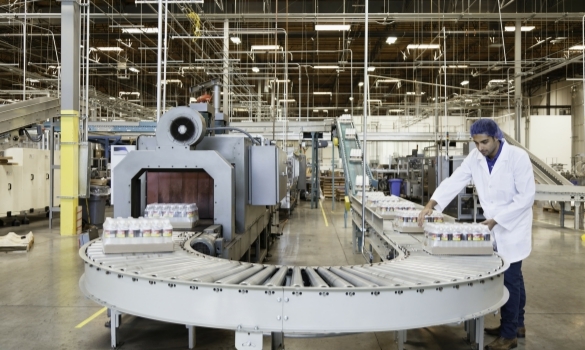 This approach will allow you to first-handily experience potential manufacturers’ facilities. By meeting face-to-face, you will have the chance to get a better understanding of how each manufacturer operates. Therefore, you can eliminate a lot of worry and risk. To begin using this approach, create a list of potential manufacturers. Then, set up meetings. If you have chosen the overseas option for sourcing, traveling is involved. Such traveling could be costly depending on how far you are required to go. If your budget does not allow for pricey traveling, attend trade shows. There, you will be introduced to numerous manufacturers at once. Either way, you will be able to have face-to-face interaction and the ability to negotiate with different manufacturers. The in-person approach to finding product manufacturers provokes more comfortable decisions. If you do not have any luck with the in-person approach, it is time to explore online resources. Typically, entrepreneurs utilize the internet for various business-related inquiries. You are able to use the internet for finding product manufacturers as well. Less money is wasted when using the online approach. No traveling is required of you. Additionally, you will save time by searching online. Plenty of open databases are available to the public. However, you must be cautious when navigating through them. Manufacturing fraud is common. Look for sites that offer reliable manufacturing sources. With the right online tools, you can find great product manufacturers for your big ideas. Cross referencing is the last step to finding the perfect product manufacturer for your startup. Only begin this process once you think you have decided on a manufacturer. Before making any agreements, ensure the manufacturer’s legitimacy. You need to protect your business idea. Cross referencing entails uncovering their online presence. Research the trade shows they have attended. Search for any references of past or current partners. With these new resources at your fingertips, you will be able to determine the manufacturer’s validity. Entrepreneurs want product manufacturers that are trustworthy and reliable. Cross referencing will guarantee that you find the best. At this state in your startup, you may be struggling with finding the best product manufacturers. Fortunately, there are methods to cure your madness. Firstly, decide on which type of manufacturer you need. Then, research your product market to ensure you will find success with a high-end manufacturer. Next, try out the in-person approach. If that is not the right route for you, utilize online resources. Lastly, cross reference prospective manufacturers to guarantee validity. You now have the knowledge to find product manufacturers that will bring your ideas to life.